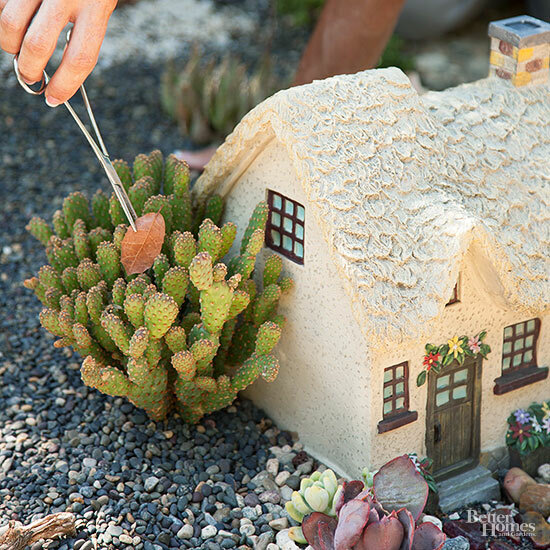 Place your miniature garden in an easily accessible location. Here, the village runs along the top of a knee-high block wall that elevates it for good viewing and makes it easy to reach into and putter with. Then, form hills and valleys to vary the landscapes by mounding or excavating soil, or creating terraces that add dimension. 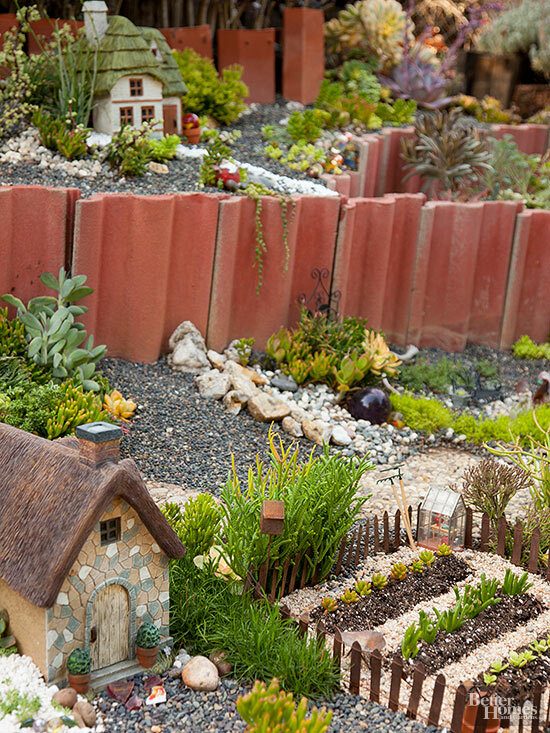 Be sure to keep proportions in mind so the landscape looks realistic. Create the appearance of distance by placing larger plants (such as dwarf conifers) closest to the viewer and similar yet smaller ones farther back in the design scheme. Add details that imaginary inhabitants might enjoy, such as benches, gardens, picnic tables, or shady sitting areas. 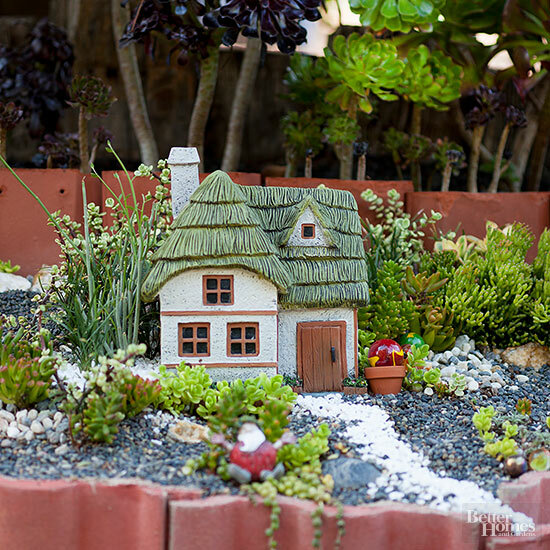 Each miniature home can tell its own story. 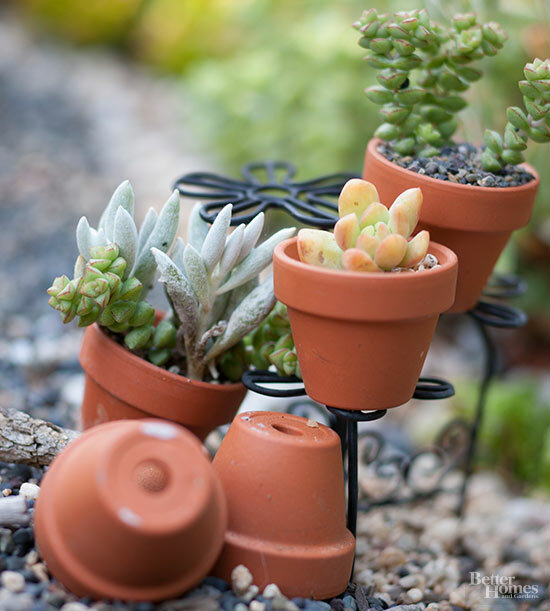 Plant succulent cuttings in flowerpots no bigger than thimbles. They’ll look good for weeks, even without soil and water, because moisture in the leaves will sustain them. 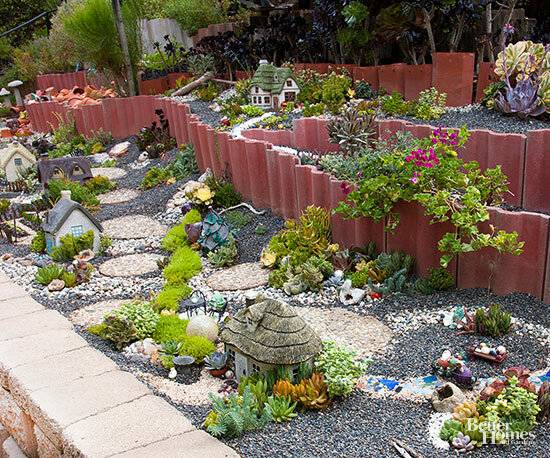 Include a serpentine creek bed lined with smooth pebbles. Use bits of colored glass to suggest sparkling water. Then, design pathways that lead to intriguing and inviting destinations. Pebbles in contrasting shades of gray, white, and black add interest and continuity and define pathways. 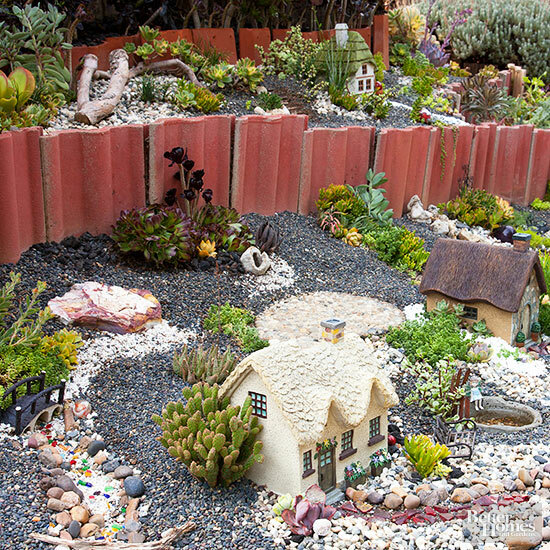 Remove normal-scale debris from miniature gardens to enhance the illusion of a hobbit garden. 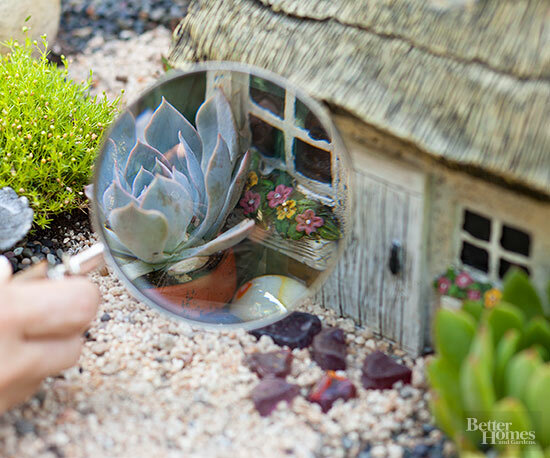 A magnifying glass might serve as a portal, allowing entrance to the tiny world of a hobbit garden.